Our new Digital Creativity course for Year 7 and 8 has made a massive impact on our students with disabilities at Corpus Christi College. The course is based on Apple’s Everyone Can Create curriculum and is designed to provide students with core digital skills in photography, video, audio and drawing. Corpus Christi College is one of only two coeducational high schools in Western Australia with the prestigious designation from Apple of being an Apple Distinguished School. Allowing students access to 1-1 devices, Corpus is a pioneering force in secondary education, with each student receiving a personalised learning experience. Every week, students participate in two Digital Creativity lessons to help consolidate their learning. 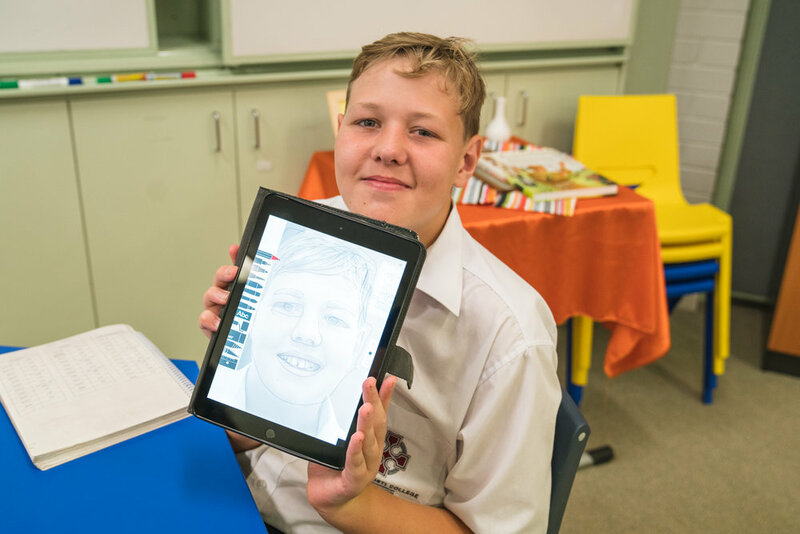 Students have loved showing off their newfound creative talents by teaching staff and older students with disabilities how to execute the perfect photo, draw a realistic self-portrait and map-out a detailed sketch-note of their favourite holiday destination. As well as developing their fine-motor skills, creativity with iPads has also empowered the students in showing their understanding of a topic. For example, in Science they use Mark-up to annotate and draw on a photo to show how electricity works. In Life Skills class, they draw on photos in Keynote and insert audio to explain how to tell the time. If you’d like to see more Digital Creativity, check out the hashtag, #CorpusCreates on Twitter for snap-shots of the course in action.